← Mustard Museum Middleton, Wis. If your munıcıpalıty ıs stıll relyıng on paper or spreadsheet- based systems to manage its operations, here’s a word that can drastically transform the way you work: automation. Imagine being able to access every part of your operations in an instant — every work order submitted, citizen request, hour logged on a task, dollar spent and more right at your fingertips. The operational headache of filling out stacks of paper forms or having to manage and track countless spreadsheets could vanish, instead replaced with a cloud-based operations management solution. Cloud-based automation is the undeniable future for any municipality. It means all of your operational data is reportable and can be laid out in front of you with one click. No more hours of data entry or guess work. The ability to pull data at the click of a button or tap of a screen is a strategic advantage when it comes to building a range of business cases for your operational needs, both big and small. Here are five key ways your department can utilize operations management data to transform your municipality for the better. With software-based operations management, you have a platform that allows you to see exactly what everyone on your staff is doing. Time spent on each task can be instantly logged even from out in the field, helping increase visibility for your staff and prove the value of those working on your team. Having this information is invaluable when it comes to giving credit where it’s due, administering performance reviews and developing employee career-track plans. Another benefit to being able to see who is doing what is recognizing when there isn’t enough manpower to properly complete all the tasks your department needs to get done in a day. Being armed with this kind of data allows you to make a clear, fact-based case when requesting more staff members or justifying new roles. 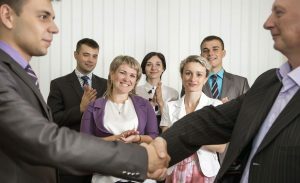 You’ll be able to prove how much more can get done with new members on the team, which equals how much more successful your municipality can be. When you can use data to demonstrate your staff members’ productivity, it makes the true value of their work transparent, including hours spent, value delivered and money saved. For example, when you have a crew of employees who handle water, sewer, streets, etc., the amount of work and effort they perform on a daily basis can be forgotten by upper management and the public. With a smarter dashboard, you can provide a clear picture to administration and to your citizens of how much work your crew is actually doing. In addition, each staff member can see what he or she has done, whether that be by day, week or month. Your team can be proud of the effort it puts in to serve citizens and help keep the municipality beautiful and well-functioning. Having your department’s actions spelled out in data you can access instantly goes a long way in a variety of situations. 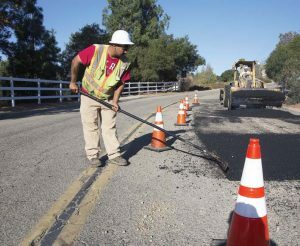 Imagine your road foreman has patched 10 potholes on the same street in the last year, yet no plan is in the works for replacing the road and drivers are becoming increasingly frustrated. If that work was tracked on paper (or not at all), it would likely end up forgotten about. However, when you have the historical data of what’s happening in your town, you can show instead of tell those in charge of city projects what needs more time, money and attention. Justifying budget requests to administration or the city council is a lot less intimidating when you’ve got the data in hand to prove your case. For example, having data on deferred maintenance of big ticket items, such as a roof or boiler, can help justify the budget dollars for a replacement. With a software solution, you can report on the hours and budget dollars that have been invested versus the actual cost of a replacement. Having data on new citywide construction projects in the pipeline that cannot be completed without additional budget dollars can also make that conversation with management or written request for funding more data focused, rather than motivated by gut feelings, which often get you nowhere. When you rely on to-the-minute intelligence to drive your business strategy, getting your municipality’s needs met becomes as simple as pressing a button. Data doesn’t lie, and it can be your best ally in transforming your department from good to great. With automated, cloud-based operations management software, you can start putting data to work for your department and your citizens today. Laura Faughtenberry is the industry manager for government at Dude Solutions, a leading software-as-a-service, or SaaS, provider of operations management solutions to education, government, healthcare, manufacturing and membership-based organizations. Faughtenberry currently serves as a member of the 2018 International City/County Management Association Planning Committee.